Introduction of contact forms while exiting from the email concept. Start to create landing page summaries and lead generation forms for initiating value added contents. Introduce the concept of CALL TRACKING. Layering through call tracking solutions can help immensely in dealing with queries (offline as well online). Layering from web reporting and marketing of automation solutions while applying the concept of conversion tracking mechanism. Always remember that complicated B2B sales are mostly won through face-to-face meetings, mainly after decision making through multiple levels or carrying out some rigorous planning. This may well be the reason that online lead tracking has failed to get implemented. Since Sales-Ready leads are less available online, it becomes less of priority to opt for Conversion Tracking mechanism. This is the step when a person arrives at some landing page through some searching and then fills up a form to download a particular whitepaper. This step deals with assigning of paints to prospects; as a result, sales starts to focus only on the best prospects that are eager to buy. It ensures that sales team pursues only those opportunities that have strong chances of showing positive outcome. It refers to leads which aren’t totally sales ready. Such leads are funneled into series of automated communication (often referred to as Nurture Programs) that helps in educating prospects while moving them down through the funnel. Always keep in mind that building a comprehensive list of Lead Opportunities and then laying the associated groundwork for the ongoing marketing communication efforts can be highly critical for the B2B search engine marketing process. 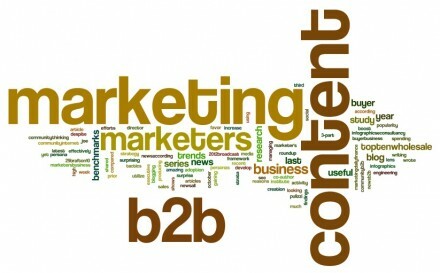 When it is about B2B search engine marketing, content writing plays a major role. according to a recent survey, several types of content marketing tactics are employed by marketers to achieve their objectives. Don’t get amazed but usually marketers spend more than half of their budget on content marketing approach. However, it needs to be understood that only a proper content marketing strategy may not totally help in solving the challenges occurring through search visibility, leads, and trafficking. It is necessary use a good blend of fixed outsourced as well in sourced content. To make content marketing strategy a success, it should happen at a significant level. Brianne is a writer/blogger. She loves writing, traveling and blogging. She contributes in Gardnyr Michael Capital.